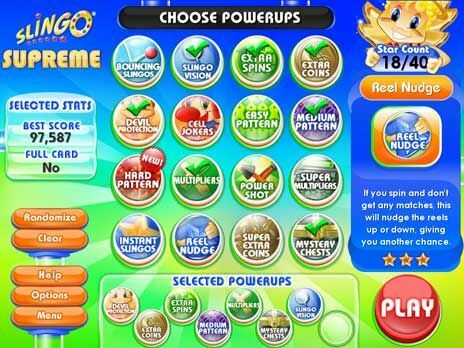 Slingo Supreme game, free Games download, Free Games | Download free Games. Download more than 300 free games @ Free Ride Games. Slingo Supreme is a highly addictive card game, download Slingo Supreme, play it free and enjoy your time. Slingo Supreme Game, is one of the free Games you can download and find at Free Ride Games. Slingo Supreme is the sequel to Slingo Deluxe that is packed with even more Slingtastic fun. It features a new and innovated Supreme mode that lets you build over 16000 different Slingo games. It also contains an infinite amount of Daily Challenges, new Powerups like Reel Nudge and Instant Slingos, and introduces the long awaited Devil Mini Games. jalada Christmas - Each day of Advent opens up something interesting. Everyone deserves to feel special at Christmas. With jalada Christmas there is always the challenge to complete just one more level. And by journey's end it is Christmas eve. Pharaoh Puzzle will be a delight for anyone who enjoys puzzle games and wants to download free games. With an Egyptian theme, you can match together ancient Egyptian relics in this challenging and colorful puzzle game. Molly, a fearless girl and genius detective, is assigned to find the missing Kirsken family. Little did she know, she would find remarkable relics and artifacts of ancient civilizations on the island. Travel the world beating a series of fun domino toppling challenges, using ten different types of dominos each with their own special abilities.